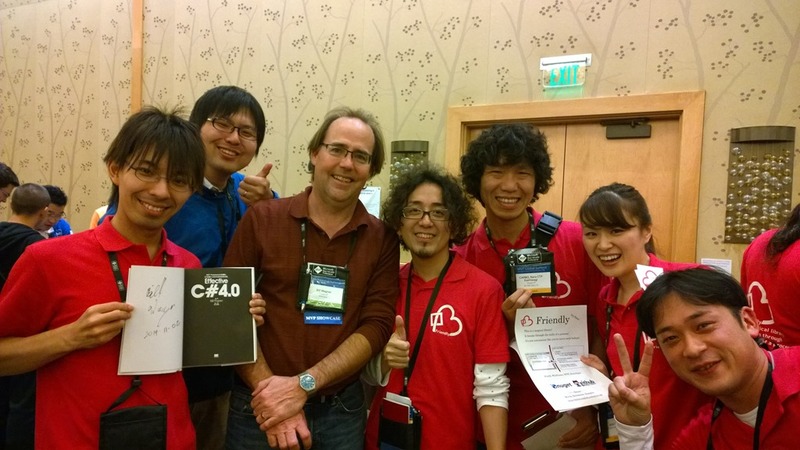 I spent last week in Seattle / Redmond at the Microsoft MVP Summit. As is the case every year, this year’s event was primarily NDA content. I’ll be blogging about the technical content at the summit as the NDA restrictions are lifted. However, I can talk about the experience. The MVP summit is one of my favorite events of the entire year. I get to meet super smart people from all over the world that share the same love of software development. It’s a huge community, and I’m always amazed at the people I meet. This year was no exception. I got to meet the folks that build Friendly, a very powerful and interesting test library for test automation. I got a great demo on the evening of the MVP Showcase event. It’s really quite impressive. The main site for their company is here: English, or Japanese. It was also the first time I’ve been asked to sign an electronic copy of my book. If I get a copy of the picture,I’ll post that as well. It was a great opening to the Summit, and I’m happy to have met new people that appreciate what I’ve written. You should check out their project, it’s really cool and quite powerful.